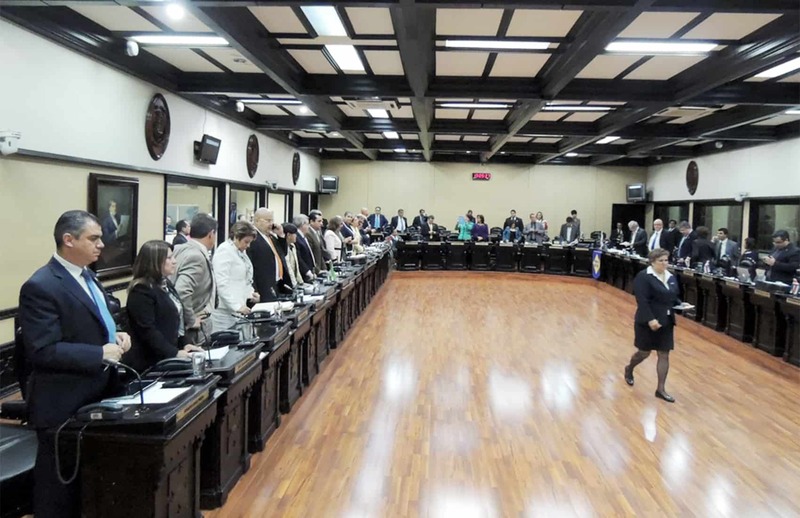 Beginning in 2015, Costa Rican lawmakers will receive only one pay raise per year – not two – according to reforms approved Tuesday in a first-round debate at the Legislative Assembly. All 47 lawmakers present unanimously approved the measures, which peg salary raises to inflation registered during the previous year. The plan also eliminates legislation from 1993 that outlined two mandatory annual increases of 5 percent. Assembly President Henry Mora said a second and final round of debate likely would take place on Thursday. Before taking office in May, lawmakers had agreed to address the issue, which angered many Costa Rican voters because the pay hikes for legislators were higher than those earned by other public employees. A draft of the bill was submitted for study on May 1, lawmakers’ first day in office. The reform also sets a maximum increase limit of 10 percent, and eliminates an upcoming raise scheduled for November. Mora, a representative from the ruling Citizens Action Party (PAC), praised the vote, saying that if inflation continues at 5 percent – as it has in recent years – taxpayers would save up to ₡1.3 billion ($2.3 million) by the end of their terms in 2018. “Today we eliminated a privilege that former lawmakers approved for their own benefit. Other public agencies that recently approved salary increases of up to ₡1 million should take note,” Mora said, referring to board members of the Public Services Regulatory Authority, who on Monday approved salary increases for themselves. The monthly salaries of lawmakers in the previous Assembly was ₡3,596,000 ($6,400). Current legislators received an automatic increase as soon as they took office. As of May, their montly salary is ₡3,776,000 ($6,750). In addition to monthly salaries, the Legislative Assembly provides each lawmaker with 500 liters of free gasoline per month and ₡161,000 ($300) for monthly office and cellphone bills. Taxpayers also pay the salaries of up to five advisers for each lawmaker and other expenses, including snacks and drinks served during daily sessions, meetings and social gatherings.